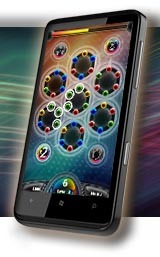 Spinballs is available at the Zune Marketplace on your device. Not sure if you will like it? Spinballs offers trial time so you can find it out for free!